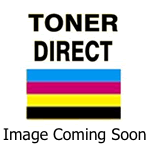 Toner Direct has many types of different Canon printer ink cartridges online at the lowest prices possible. We offer both OEM Canon ink cartridges & the full range of Compatible Canon Inks for your convenience. You are able to find the Canon cartridge types or models from Canon inkjet cartridges, Canon ink, Canon toner cartridges. We will only work with highest quality manufacturers and therefore we provide a 100% guarantee on all Canon laser toner, Canon ink and Canon printer cartridge products. We consistently provide the best printer products for all of your printing needs. All our compatible Canon Pixma ink cartridges are manufactured in ISO 9001 approved factories and meet OEM standards. Fast nationwide shipping across all of New Zealand ensures a positive customer experience. As always if you have any issues with your Compatible Canon Ink Cartridges please contact here at Toner Direct. Any issues with the Genuine Canon Ink Cartridges please visit www.canon.co.nz for support.